How do we manage to keep our excellent quality in every one of your orders, throughout the years, be it eat-in, take-away or delivery? - We are proud of our meat! They are Greek and fresh - not frozen and handmade with love. This is what makes the difference. 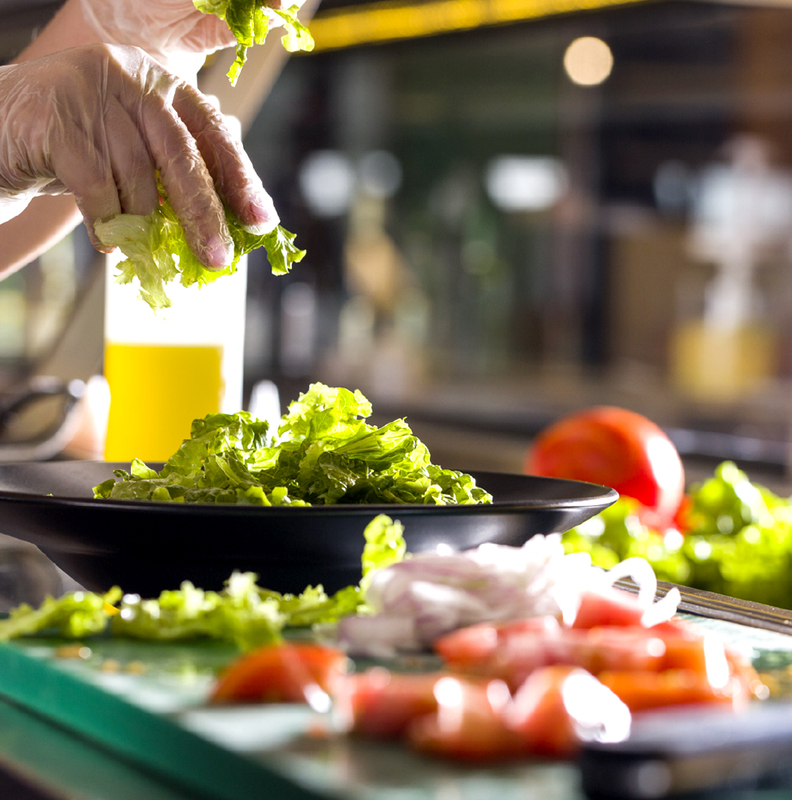 - Our fruit and vegetable are carefully selected by Greek producers, washed thoroughly and cut with care at the time of order, so that your salad is always served fresh and delicious. - You’ll never find our buns and sauces elsewhere. Our recipes are unique, specially made for Savvikos, so as to bring out the best of every dish. Now you know why everything tastes so great…because you know it’s Savvikos! 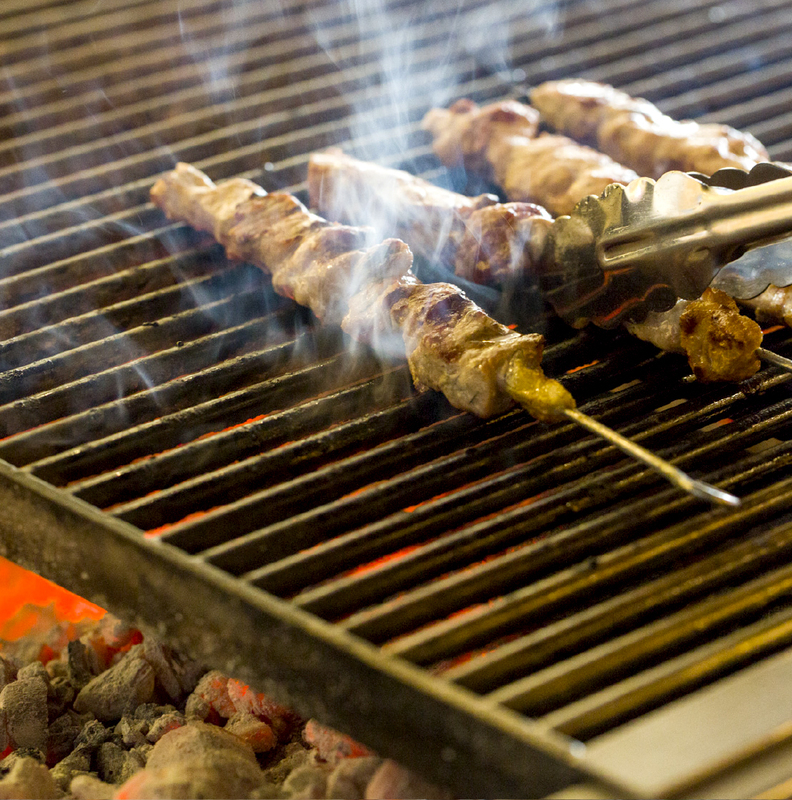 For three generations everything is charcoal-grilled right in front of your eyes, at the time you place your order. Experience, unmatched quality and 70-year long know-how. What makes it so special is the charcoal grilled patty that is kneaded daily with the best raw materials and the handmade bun and the fresh vegetables. You know it’s Savvikos, because the fruit and vegetables are chosen by Greek producers, sliced or chopped with care at the time of order - be it a salad or garnish – and are always served fresh and delicious. 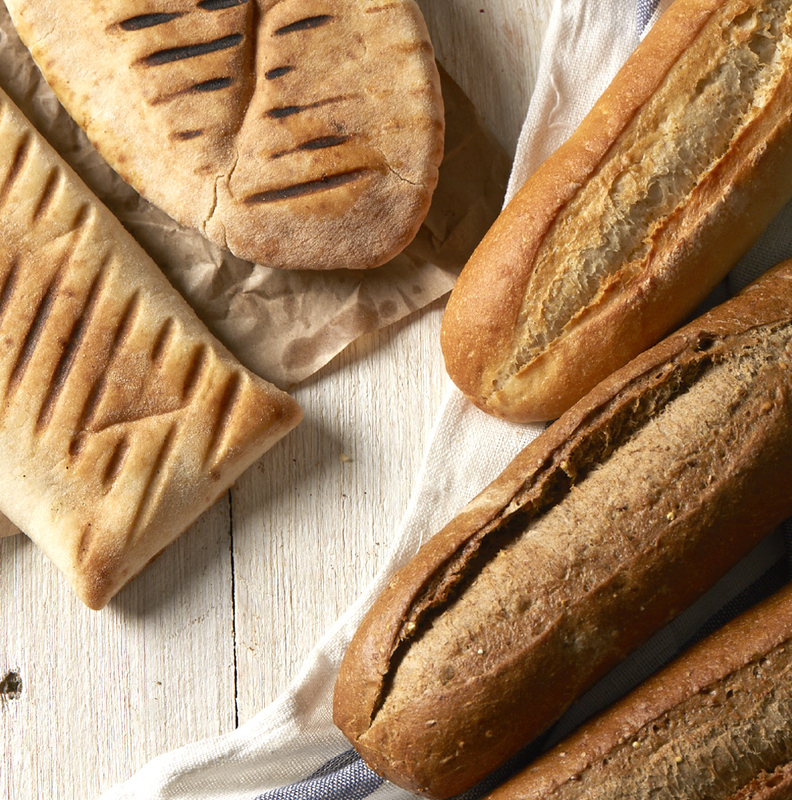 Authentic French baguettes, handmade Arabic and classic pita breads are baked at the time of order and create unique combinations with unforgettable tastes. 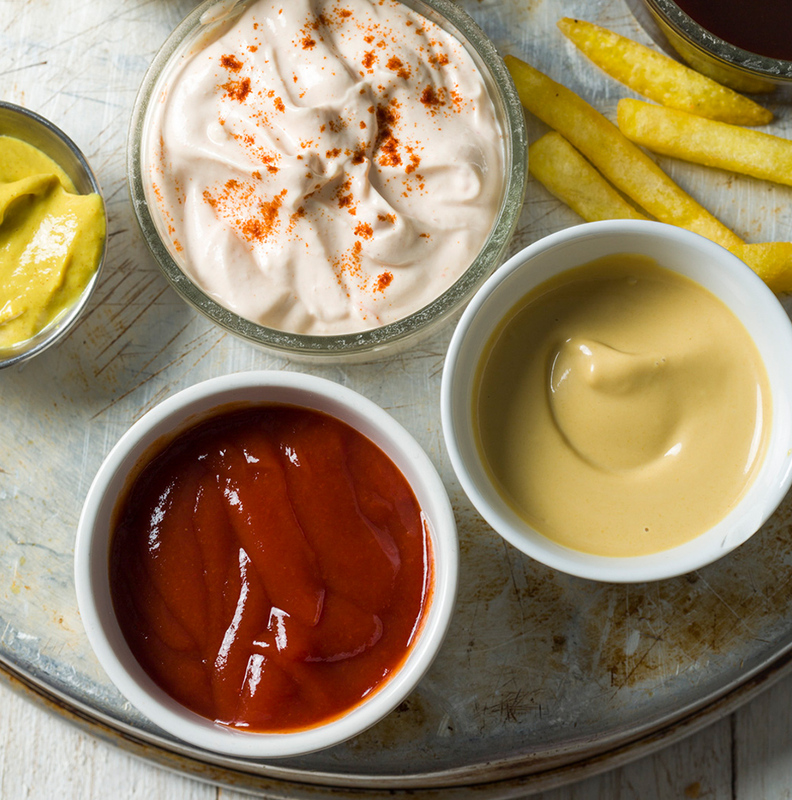 All of spreads and sauces are homemade daily and for every dish, we have developed a special dressing that brings out the best of it. 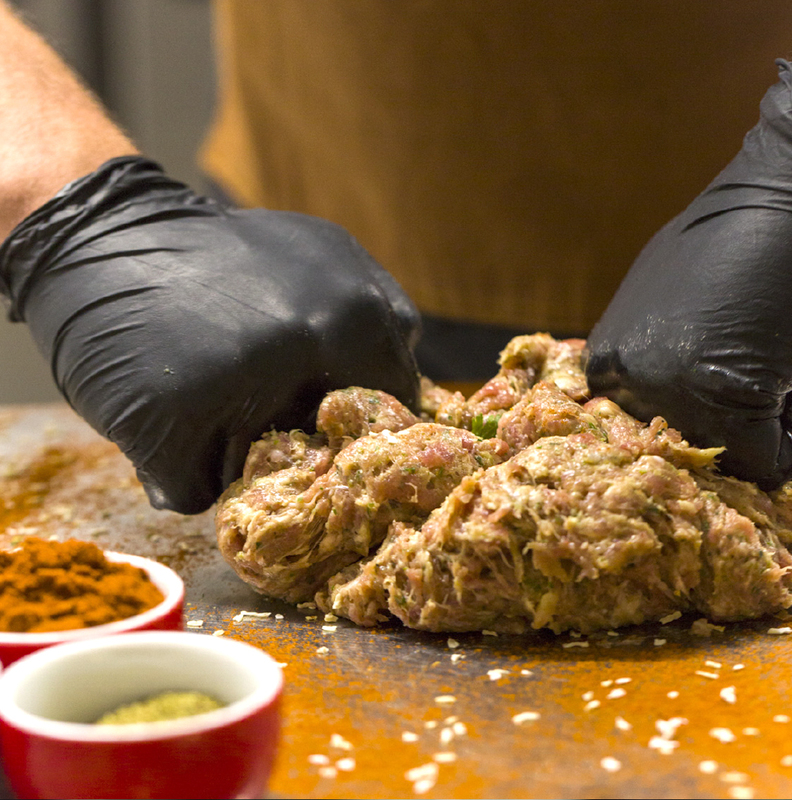 It’s this magical touch that elevates the taste to another level.